The rapid proliferation of public Wi-Fi hotspots has changed the way we shop, the way we work, and how we communicate. Free, open Wi-Fi is critical in making sure people are connected where mobile data is unavailable or too expensive. While the benefits of flexible internet access are obvious, it can be dangerous. If your device isn’t protected, a hacker could steal valuable personal data, passwords, or even find your physical address. Follow the tips below to find out how to protect yourself. The most dangerous Wi-Fi networks are those that are free to join without a password. On most devices, this type of hotspot is usually displayed without a padlock beside it. Many businesses and public spaces prefer to offer access this way because it can be difficult to distribute the password effectively. If you’re connected to one of these networks, all of the traffic flowing to and from your device is unencrypted – that is, transmitted as plan text, and free to be intercepted and exploited. Even if your hotspot requires a password, these log-in details will likely be accessible to everyone else in the area. This makes it simple for a malicious third party to monitor and interfere with everything happening on the network. When you join a public hotspot without protection and begin to access the internet, all of your activity is theoretically visible to everyone else on that network. All they need to eavesdrop on your connection is some fairly simple software that’s easily accessible online. Hackers have also been known to set up fake networks under familiar names and advertise them as real thing — in the hope that unassuming by-passers will connect to it assuming it’s legitimate. Data Monitoring. The hacker can see which URLs your browser is loading. Using this, they can find out your name, home location, and personal information. Data Interception. When you fill in an online form, criminals can harvest these details or intercept the cookies that keep you logged into shops and social media networks. Armed with this information, they can steal your identity or make purchases in your name. Content Injection & Interference. On an unprotected connection, hackers can intercept the pages you’re loading and insert illegitimate content into them: changing links, text, pictures, or more. This could mean displaying a fake login form to steal your details or tricking you into downloading illegal content. DNS spoofing. This common technique will redirect you to a fake website when you click a link or enter a URL. If you’re using an online banking service, the hacker could redirect you to a simulated version of that site in order to capture your details. While these scenarios might sound unlikely, these hacks are incredibly common on public Wi-Fi and can lead to more than a just financial loss. It’s not just your personal data at risk; once you go home or back to your workplace, you could spread malware and compromise the security of other networks as well. Regardless of the device, you’re using, you should always have a firewall active. Typically, Windows is good at prompting you to set up your firewall, so this may already have been done. You should also keep your virus definitions updated to protect against new and upcoming threats. You can set these to update automatically, or just remember to do so when the reminder appears. If you’re running a Mac, you may never have bothered to use your firewall. It’s important to familiarize yourself with it, and crucial to making sure it’s switched on before using a public Wi-Fi network. Software updates are incredibly important and should be installed as soon as they’re readily available. Windows, Mac, and Linux are continuously releasing new updates; they often contain new security patches, so staying on top of them will protect you against existing vulnerabilities that can be exploited easily. Even if you don’t use public Wi-Fi frequently, a VPN is an asset worth having. VPN software works by creating a secure tunnel that all of your device’s traffic flows through, ensuring that your data is encrypted regardless of the network you’re on. A VPN is vital for anyone concerned about their privacy and security online, and they’re arguably the best defense against the dangers of public hotspots. That being said, there are hundreds of services out there, many of which can be unreliable. Certain VPNs will slow down your connection and, in some cases, disreputable providers can share your browsing activity with third-parties. For this reason, it’s important you choose a provider with a solid reputation and strong privacy policies. The best VPNs in the market will not log your activity, will have minimal effect on performance, and will grant you complete security, even on public networks. 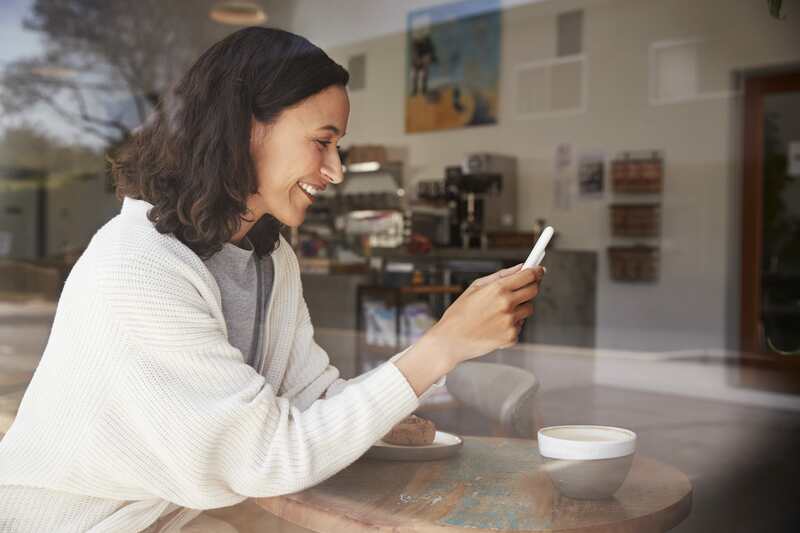 If you have no choice but to use a public Wi-Fi network without a VPN, don’t connect to sensitive websites like social media or online banking. Avoid entering credit card numbers and any site that doesn’t have HTTPS. Certain browser extensions – like HTTPS everywhere – can help broaden your reach. Most popular browsers have built-in security features that can detect malicious websites and will warn you if they encounter a threat. Obviously, it’s sensible to adhere to these warnings. That being said, these features are not infallible and are less likely to detect local interference by a malicious third party. If you’re suspicious or unsure, disconnect your device from Wi-Fi and use your mobile data connection. It’s wise to habitually delete public Wi-Fi networks from all of your devices as soon as you’re finished with the connection. Keeping a clean Wi-Fi history helps to reduce the possibility that you’ll inadvertently connect to a fake network later. For a lot of us, getting online is crucial for our personal, academic, and professional lives. In our rush to reach the sites we need, it’s natural to be steered towards public Wi-Fi. If you’re not prepared, this could leave you vulnerable to data loss, identity theft, or worse. Enhance your security by checking your device settings, downloading the correct software, and being sensible about the sites you visit.